Wilshire Blvd. Temple / Photography by Tom Bonner. Job ID 5959 For use only by Wilshire Blvd Temple. 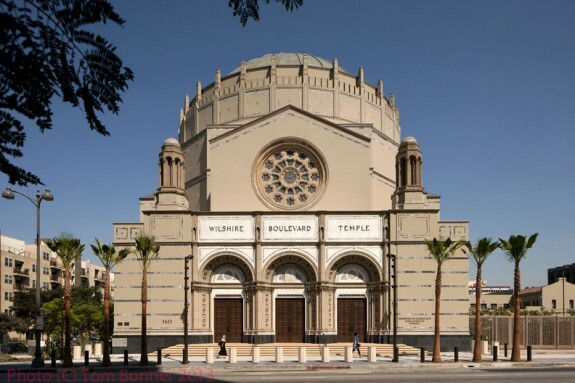 After several years of heavy duty restoration, the historic Wilshire Boulevard Temple in LA’s Koreatown neighborhood is once again open (the apex of the dome is shown in this photo). Earlier this month it offered services during the High Holy days, and this Sunday the synagogue is putting on an interfaith concert for the public (sold out, but you can stream it online here). 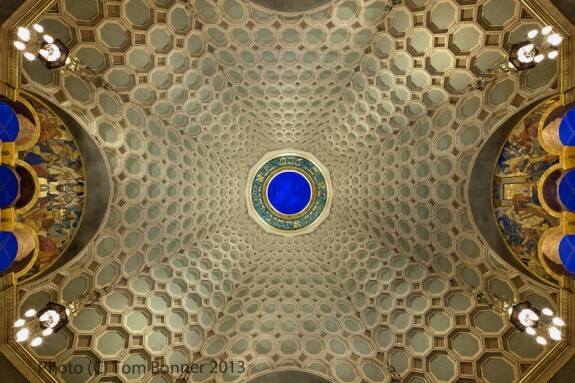 Avishay Artsy and DnA visited the temple and met with architect Brenda Levin, and Avishay produced this report. Photographs by Tom Bonnner. 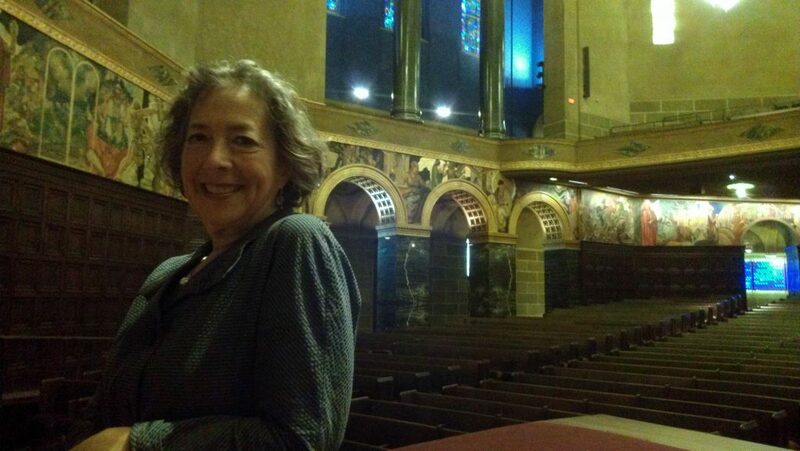 Brenda Levin, principle of Levin and Associates, is responsible for the restoration and adaptive reuse of many historic Los Angeles buildings, among them the Bradbury Building, Grand Central Market, The Wiltern Theater, Griffith Observatory, City Hall, and Dodger Stadium.